WASHINGTON — Scientists on Wednesday revealed the first image ever made of a black hole, depicting its hot, shadowy edges where light bends around itself in a cosmic funhouse effect. Unlike smaller black holes that come from collapsed stars, supermassive black holes are mysterious in origin. Situated at the center of most galaxies, including ours, they are so dense that nothing, not even light, can escape their gravitational pull. 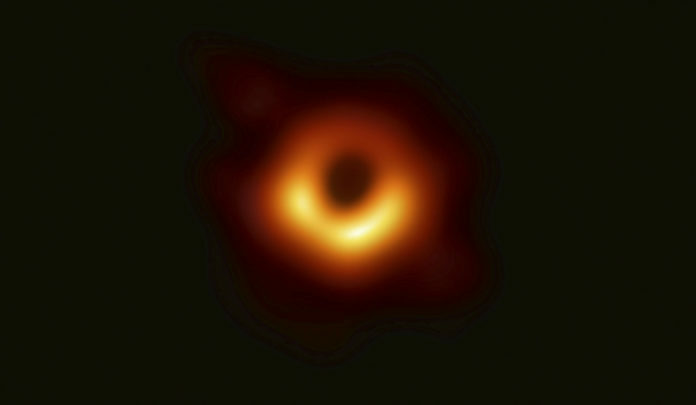 This one’s “event horizon” — the point of no return around it, where light and matter begin to fall inexorably into the abyss — is as big as our entire solar system.